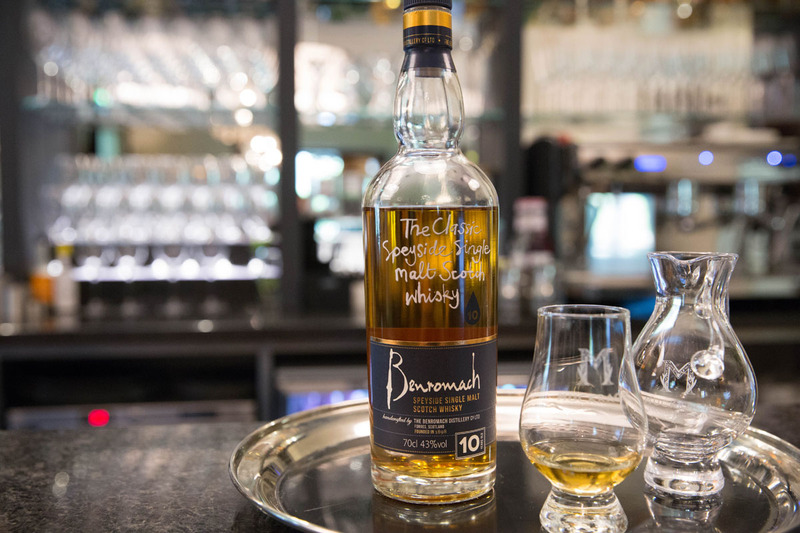 This month’s whisky is Benromach Classic Speyside 10 year old, a multi award winning malt whisky. Beautifully balanced with a light smoky influence, it’s the only single malt whisky being distilled today that has the classic pre-1960s character. Benromach is one of the very few whiskies in Scotland to be handcrafted in the traditional way today. Just three dedicated distillers orchestrate every second of the distillation process. Every cask of spirit is hand-filled, hand-weighed and hand-stamped. Benromach 10 Years Old has delicious flavours of forest fruits and creamy malt, a wisp of smoke and lingering, luscious sherry notes. Enjoy many other choices of whisky from the Bar at Muckrach; a Highland welcome awaits you.